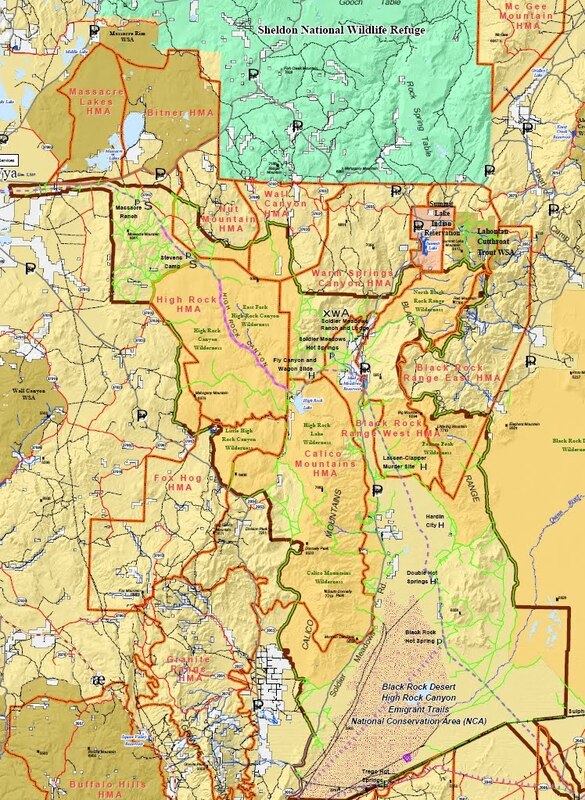 I first jumped into the issues surrounding the Massacre Lakes Herd Management Area (HMA) due to a BLM Scoping Notice issued on May 18, 2007, to remove wild horses from the Wall Canyon East, Nut Mountain, Massacre Lakes and Bitner HMA’s. 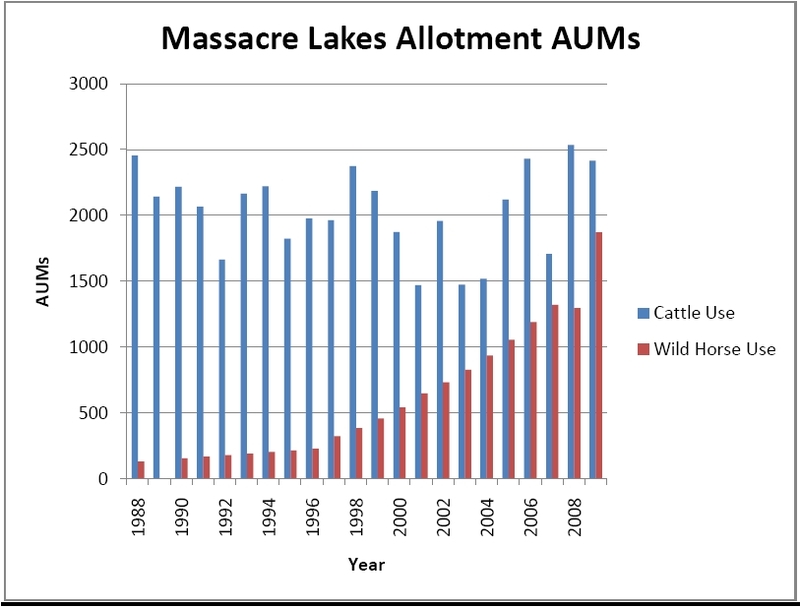 Turns out, the Massacre Lakes HMA is one of the few areas left that BLM hasn’t “officially” set an AML for wild horses. By that I mean, they DO have an AML, but it wasn’t set as a result of any official monitoring, environmental assessments or multiple use decisions. It was plunked down in the middle of an allotment management plan in 1982 as a “starting point” – no actually forage via AUMs were issued for wild horses at this time but there were lots of promises of monitoring to determine “appropriateness”. 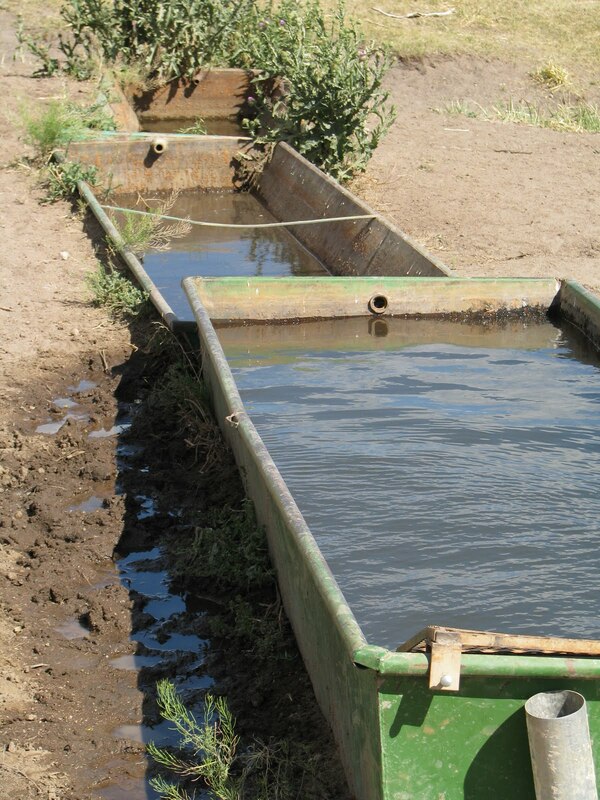 This AML was recently re-approved with a slight increase through the BLMs Surprise Field Office’s new Resource Management Plan (RMP) with more promises of monitoring in the future. Well, after several false starts, postponements, and “we'll get back to you”, the future has arrived and BLM has released a Rangeland Health Assessment (RHA) and Monitoring Evaluation Report (MER), which determined adjustments need to be made to wild horse AMLs and livestock authorizations. 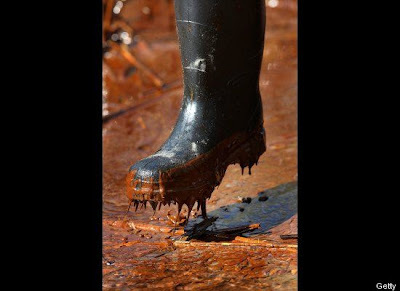 If you are wondering why Massacre Lakes HMA is now being included in posts about the Calico Complex, the Sheldon National Wildlife Refuge and yes, more information that is coming about the Ruby Pipeline and Tri-State Mega-Complex, it's because it sits smack dab in the middle of all this action…. 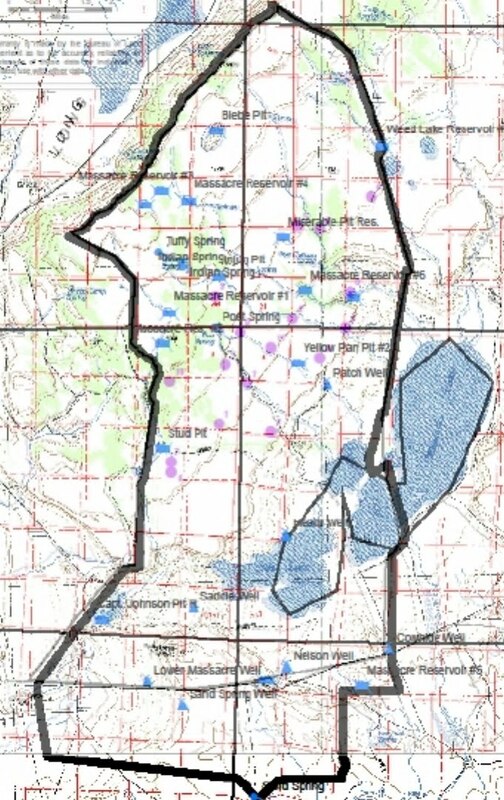 According to the Final Environmental Impact Statement (FEIS) for the Ruby Pipeline, Table 4.5.7-1, five HMAs will be directly affected by the proposed route: Black Rock Range West, Warm Springs Canyon, Wall Canyon, Nut Mountain, and Massacre Lakes HMAs totaling 298,000 acres of wild horse and burro habitat. The Massacre Lakes and Bitner HMAs are at the top and to the left of Sheldon. However, BLM is not too concerned with Ruby’s impacts to the Massacre Lakes wild horses as they claim the proposed route will only cross the south end of the HMA were wild horses don’t generally go. In BLMs National Herd Statistics for Fiscal Year 2004, the Massacre Lakes Herd Area actually encompassed a single Herd Area totaling 115,937 acres of BLM managed lands and 11,791 acres of “Other” managed lands for a total of 127,728 acres. Then, BLM decided to create artificial boundaries by separating the area into two Herd Management Areas, the Massacre Lakes and Bitner HMAs. During this process, a total of 34,166 acres were removed from wild horse use. Cross-referencing records from BLMs FY04 and FY07 Herd Statistics, the original Herd Area also saw a “magical disappearance” of 17,125 acres in 2007 from their original HA records posted in 2004. Yes, the BLM notes that in the four years between 1997 and 2001, wild horse growth rates were 18-20%, when populations doubled from 27 to 54. Then, the next six years indicated a 12-13% average growth rate. Yet despite their own published reproduction rates, the 2008 population census of 108 wild horses is now estimated at up to 202 wild horses, as populations are projected as potentially doubling in merely two years – though BLM has absolutely no records of this ever occurring here before…. Here's what BLM had to say about livestock grazing in the development of the Surprise RMP approved in 2008. 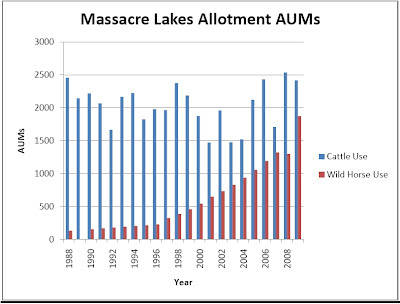 >Authorized use for the Massacre Allotment is 3,215 AUMs for up to 582 cattle grazing five months out of the year on an even-odd pasture rotation schedule. 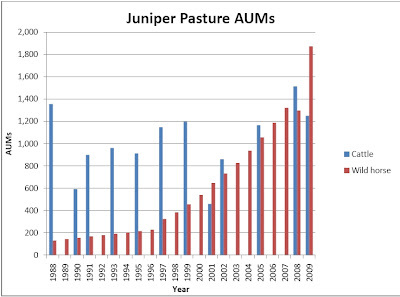 "Figure 2 (below) depicts annual livestock AUMs used in the Juniper Pasture based on Actual Grazing Use Reports since 1988 and estimated wild horse use (AUMs) based on helicopter population inventories (direct counts) in 1997, 2001, 2007, and 2008. During 1989, 1992, 1994, 1996, 1998, 2000, 2003, 2004, 2006, and 2007 the Juniper Pasture was rested from cattle use." Again, we find that since 1988, the highest recorded livestock grazing occurring in the Juniper Pasture was authorized by BLM in 2008 during “drought, low precipitation, lack of forage production and degraded rangeland conditions” that are resulting from this lack of water – unless you need to graze livestock heavily to support a new rangeland health assessment that will determine new wild horse AMLs. Question: If BLM states that the Juniper Pasture is authorized for an even-odd pasture rotation system, meaning, Year 1 - Cattle graze, Year 2 - the Pasture is rested (BLM April 2010 MER, pg. 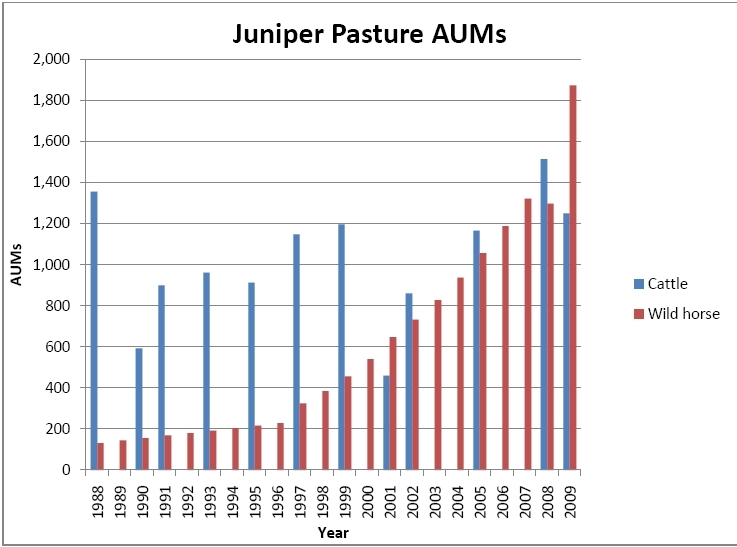 5) and the Juniper Pasture was rested in 2007, then cattle were allowed to graze in 2008, why does the chart above show approximately 1,200 AUMs being used by cattle in 2009? BLM also states in the accompanying RHA about the Juniper Pasture that, “In 2009, the wild horse estimated actual use was greater than the livestock actual use within this pasture”. > “Field observations indicate that wild horses are currently contributing the most negative impacts to riparian sites within the Allotment/HMA, especially those in the vicinity of Sage Hen Springs. 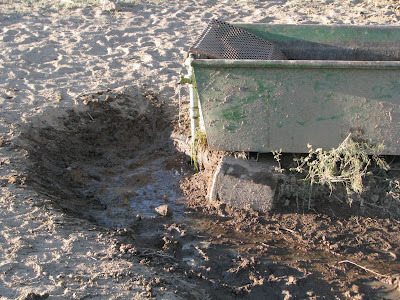 Based on staff observations, wild horses appear to be the sole contributor to the degraded conditions and non-functional status of Sage Hen Springs”. > “Forage allocation for wild horses would be managed equitably (i.e., neither having precedence over the other).” To learn more about additional stipulations for wild horse and burro management affecting the Massacre Lakes HMA , Click Here. 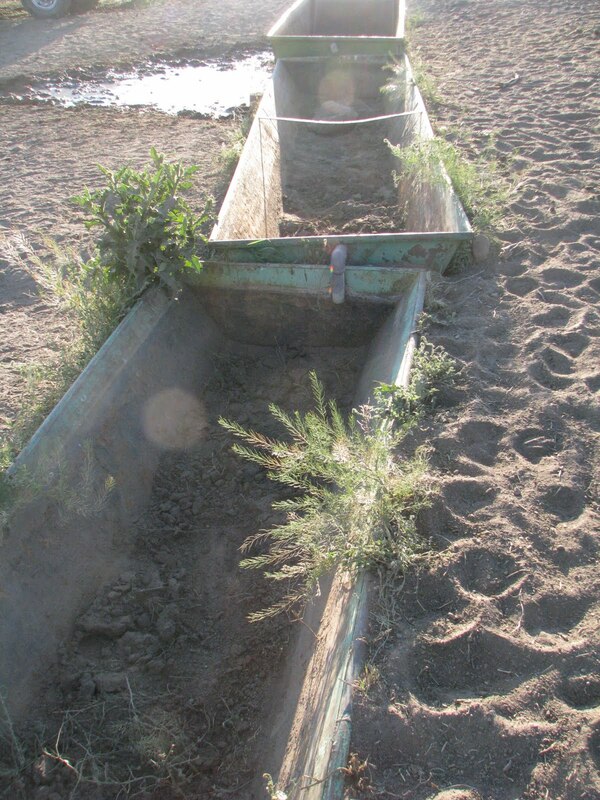 > BLM only monitored 12 springs occurring in the Massacre Lakes Allotment/HMA, all of which occur in the Juniper Pasture. 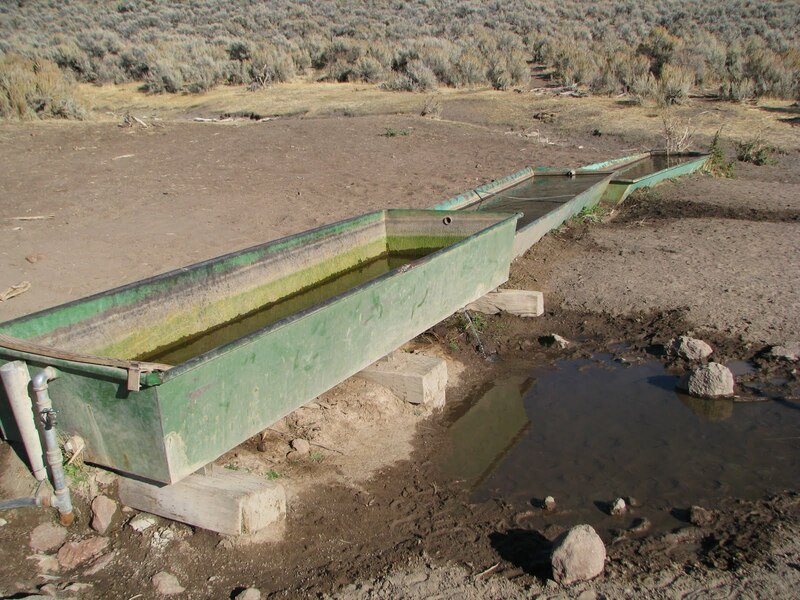 Of these, only one is listed by BLM as used by livestock, Post Canyon Seep #2 – despite authorizing up to 582 head of cattle 5 months out of the year. The rest of the “noted impacts” to 7 of these water sources is attributed solely to wild horses in a Riparian Table provided in the RHA (pg. 7), including Un-named Seep # 4. 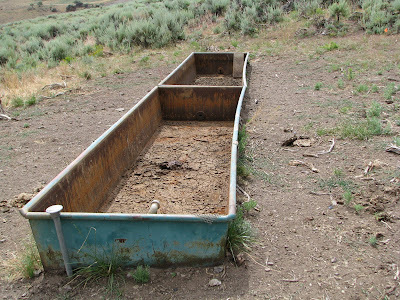 > In the detailed descriptions of Seep #4, BLM states livestock were found using the riparian site. This fact was omitted when they were filling out the boxes in the Riparian Table attributing use exclusively to wild horses. 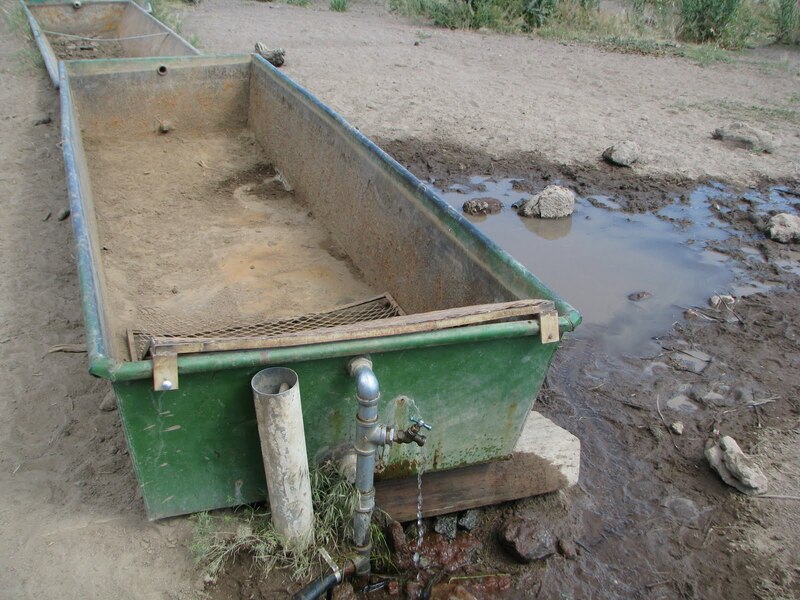 > The BLM provides no water flow rates or gallons per minutes within either assessment in order to help determine water availability for wild horse use. One would think this information would be considered a critical issue in the drought stricken West as it is the harbinger of “emergency round ups” and yet this information is totally absent in the RHA. > BLM also excuses itself for failing to provide any water quality data throughout both the RHA and MER by checking of N/A on all of the required questions. > Post Spring, Indian Spring and Sage Hen Spring appear to be the major water sources for wild horses, two of which have been fenced. In 2007, BLM noted that the exclosure fence for Post Spring was down and received heavy grazing use by wild horses. The fence was fixed in 2008 to exclude wild horses again. > The Sage Hen Spring appears to be the only unfenced spring in the area and as can be expected, is receiving a high degree of wild horse use. Four other un-named seeps were also included in the evaluation, all of which are located between ½ to 1 mile from Sage Hen Spring. 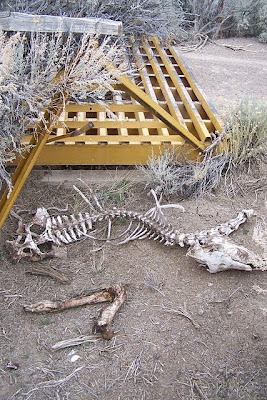 Of these, BLM noted “impacts were generally from wild horses” on three of them while the fourth found evidence of wild horses, cattle and antelope “but trampling impacts were not noted” within the one Un-Named Seep cattle were found using. > A total of 2,590 acres of lakes have been identified as occurring in the area, some of which overlaps the Massacre Lakes HMA. 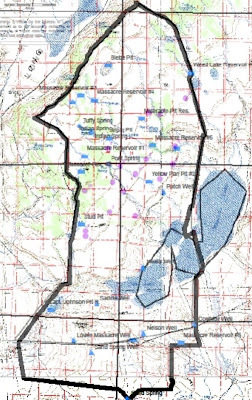 However, the map provided by BLM indicates fencing has probably been erected to prevent any access by wild horses to this abundant water source. This is further evidenced by the fact that BLM reports no wild horse populations are found in these areas. Blue dots are water sources, purple are wild horse populations. > In the April 2010, RHA, BLM states, “Results from soil stability tests indicated that three of the five sites were unstable”. 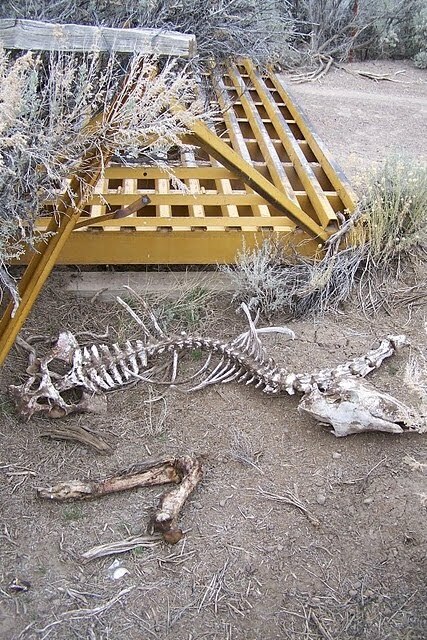 BLM also checked off the box for Standards of Upland Soils Not Being Met and Not Progressing Towards meeting these standards; all three of these “unstable sites” are identified as occurring in the Juniper Pasture, exclusive home to the Massacre Lakes wild horses. As NDOW continues to cite numerous complaints of harassment by wild horses and drought conditions creating intense competition between rangeland users, wildlife populations continue to soar with strong recruitment rates, record pronghorn populations, and average mule deer populations now tallied at 800 deer p/hunt unit versus the old days when “reasonable numbers” were actually set by BLM to protect habitat for all rangeland users. How does NDOW feel about “feral horses”? Well, it depends on who you ask and what kind of hot seat they may be sitting on at the time. Generally, NDOW’s stated position is, they are strong supporters of BLM keeping wild horses and burros within the established AMLs. And then they go after the AMLs…. When one reviews BLMs population inventories and reports for the Massacre Lakes wild horses since 1988, populations seem relatively stable for many of those years (except recently). It is from these numbers that BLM determines reproduction rates and estimated forage consumption, all of which appear relatively stable with no large population swings. Except, BLM has determined these wild horses will be managed as a “Complex”, though no evidence is presented in the RHA or MER that would even suggest wild horse numbers are fluctuating from interchanges and migratory patterns, does it? BLM even states in their RMP objectives that, “Once the area recovers, an appropriate AML would be determined and wild horses reintroduced.” So why would wild horses need to be “reintroduced” if they are a migrating between these HMA’s or even Sheldon? Not a single report, excerpt or mention is made in the April 2010, RHA or MER of wild horses migrating to anywhere or if any follow up whatsoever was ever completed regarding interchanges between BLM horses and Sheldon horses. > What about BLM’s current assertions in their April 2010 RHA/MER that state wild horses generally aren’t found anywhere outside of the Juniper Pasture with the rest of the HMA and pastures only receiving occasional, incidental use? > Did BLM know this all along and that’s why the “approved” of a management plan in the RMP that would allow them to wipe out a herd with promises of future “reintroductions”, knowing full well there was no interchange going on whatsoever? 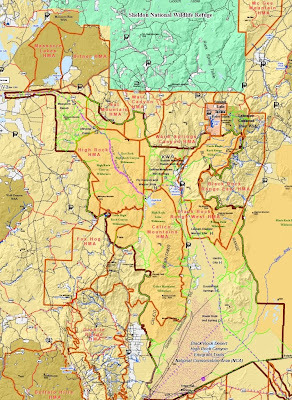 > Is that why NDOW was arguing that if a herd was not issued a self-sustaining AML such as the 35 for Massacre Lakes, 24 for Bitner, 55 for Nut Mountain, and 25 for Wall Canyon, that those herds should be eliminated in the RMP? But wouldn’t such an straightforward plan as NDOW suggests cause protests, spark controversy, and violate BLM’s requirement to maintain wild horses and burros “where presently found” at the passage of the 1971 Act? > Or can the answer be found in why BLM has not conducted an official round up of wild horses in the Massacre Lakes HMA since 1988? Have they known all along that wild horses moved on to Sheldon and were “disposed of” according to USFWS policy – no questions asked? The BLM is now accepting public comments on the Massacre Lakes Allotment, which will determine the future of livestock grazing and wild horse populations in the Massacre Lakes Herd Management Area. BLM will use comments received from interested parties to identify issues for the recommended management action. Please provide detailed comments if identifying an alternative for consideration. A copy of the EA and related documents will be available when completed.